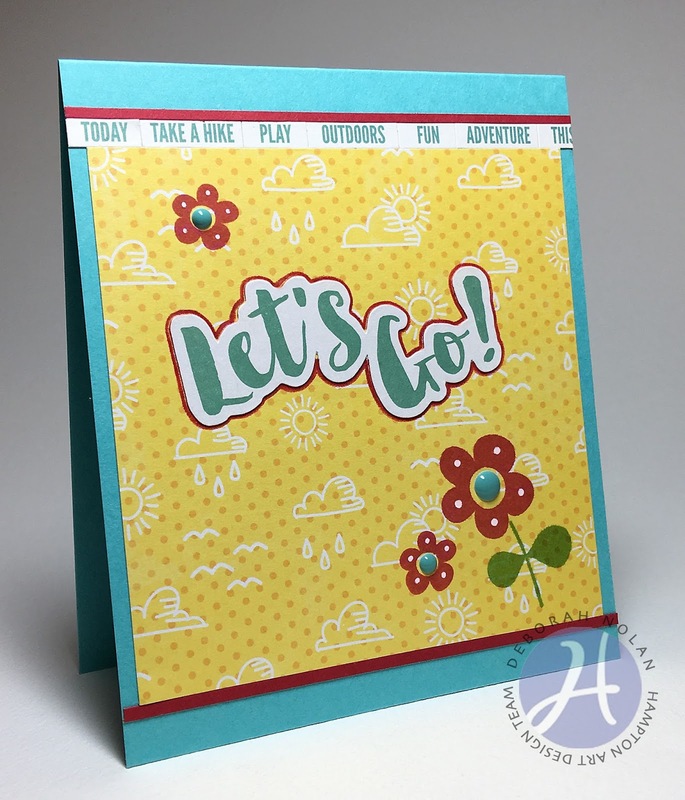 Make a 4.25” x 5” base from cardstock. Cut 4" x 4" PP panel and adhere to card. Adhere word stickers above PP panel. Cut two 1/8" strips and adhere above word stickers and below PP panel. Adhere sentiment and outline with colored pencil. Dot petal centers with white paint pen.